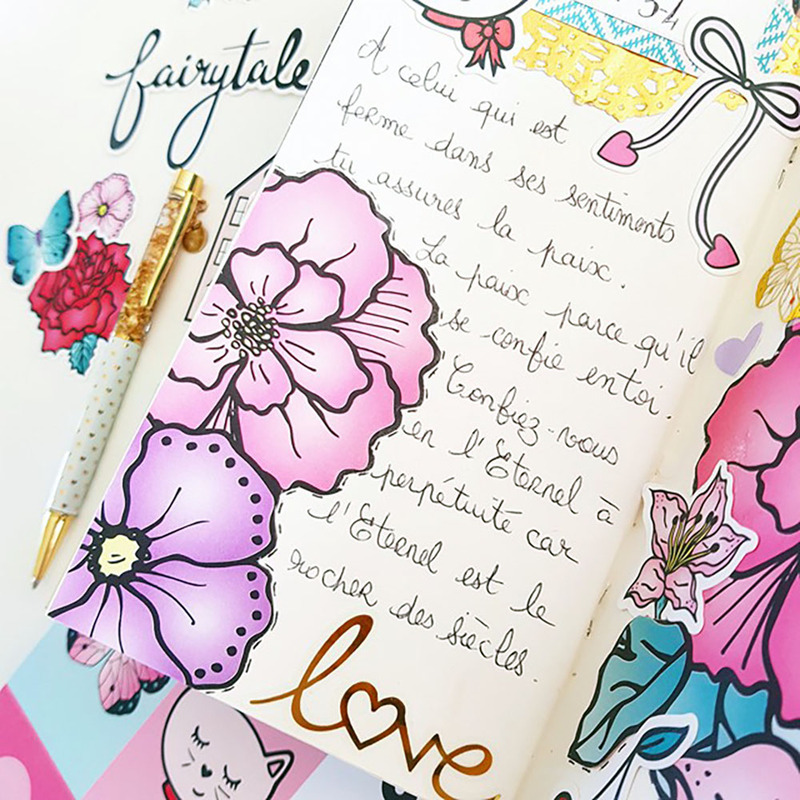 It’s Adeline today for the Fairytale Club’s blog, I have not yet given you all the secrets contained in my traveler notebook!!!!! I think it might inspire you for yours. So let me introduce you to my faithful life traveler notebook, I chose Julie Nutting from My Prima Planner’s journal for this purpose. 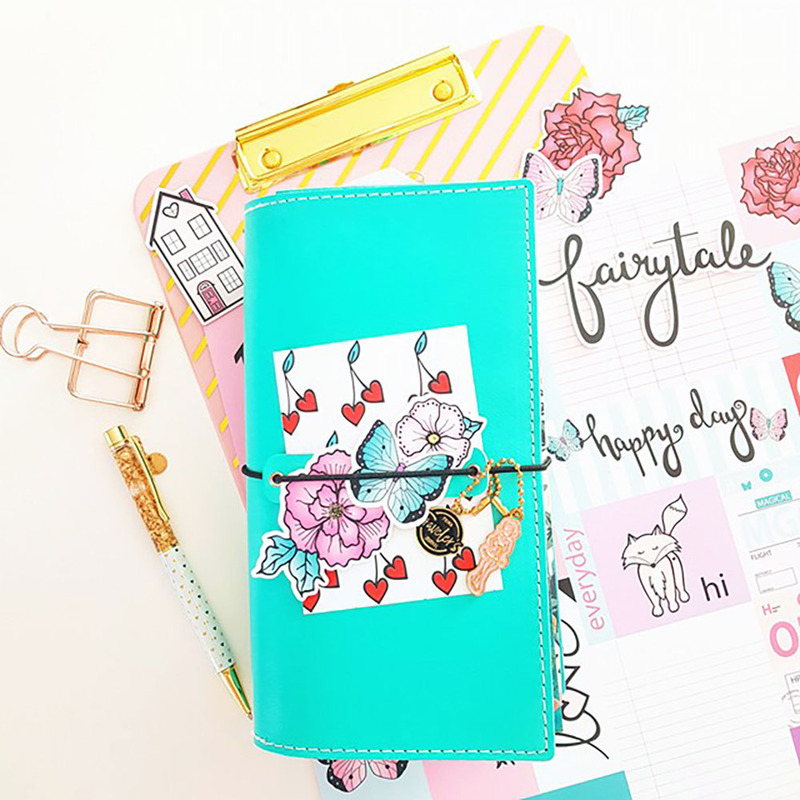 I love decorating my traveler’s cover with some charms and die cuts, so I cut a project life card from “Happy Days” kit, in love with this cherry heart design and I slipped it into the elastic and finally, I added cute die cuts, it’s very springy, don’t you think? I think it adds a little cheerful to my cover, I find it so much prettier than not putting anything. Every month I do the Faithful Life Challenge from The Reset Girl, a challenge based on the study of the Bible. Each month a different theme and each week some verses to study. I love this challenge because it allows linking spirituality and creativity. 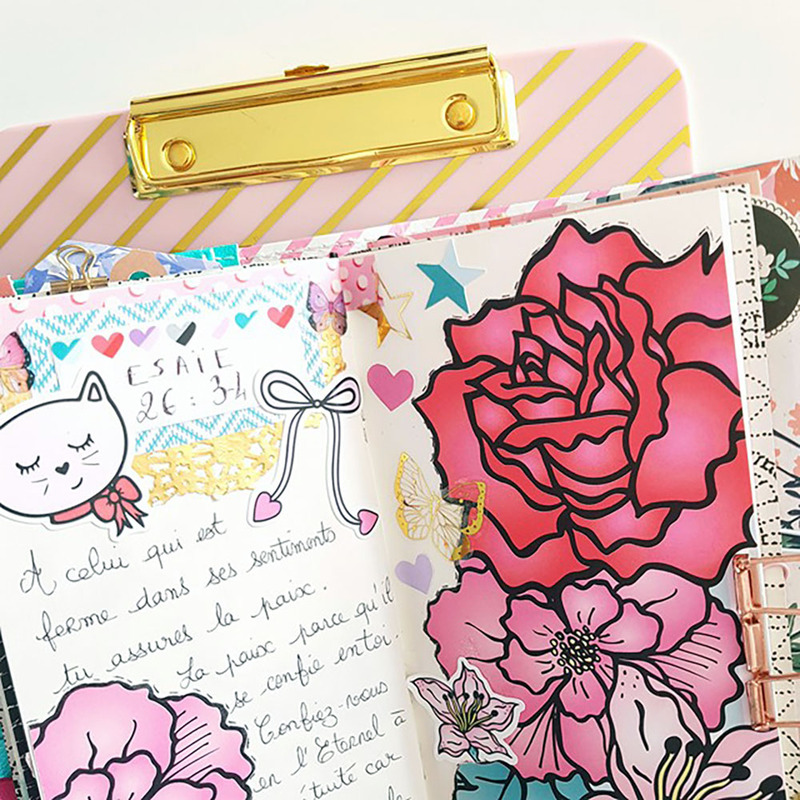 So this week, I highlighted the verse of Esaie with the kit with its beautiful huge flowers and the others cute element of “Happy Days” kit. First I made my title by combining some different piece of the kit and mine. My gold paper napkin in order to add light that I cut, on it I stuck a label and strips of washi and I finished with the little cat and bow die cuts. 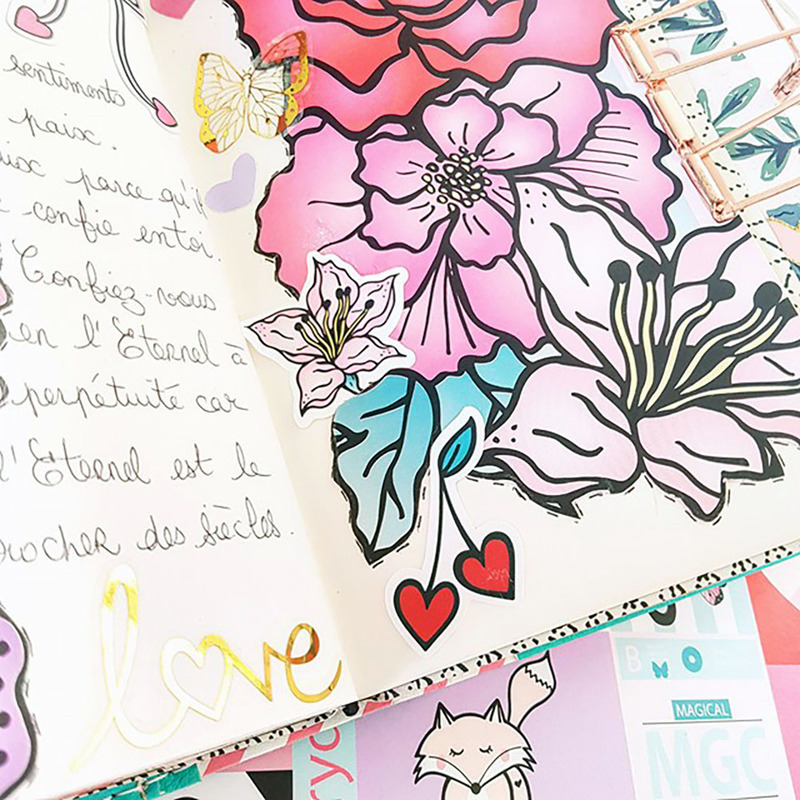 For the second part of my page, I cut a 12x12 paper with the flowers pattern, these flowers are so beautiful can’t resist to add them in my notebook. I cut the outline of the flowers, I love this oversize side of these flowers that makes us feel like Alice in Wonderland!!! Tiny !!!! And finally, I added some gold foil transparent stickers, my favorites!!! which remind the gold paper napkin and some little die cuts. I hope you have appreciated my post, see you later for other fairy project and have a good Easter time with your family and friends, enjoy!!! !